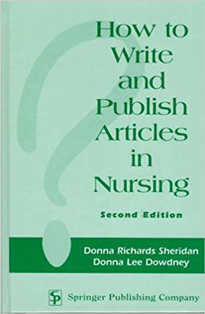 Local fabric artist Donna Lee Dowdney is co-author of How to Write and Publish Articles in Nursing (1986). The book received a 'Books of the Year Award' from the American Journal of Nursing. It provides step-by-step instructions on the writing process, from original idea to publication. It also includes techniques, exercises, checklists and forms, and information on electronic publishing. For more information about this author go to https://www.donnaleedowdney.com .